William Birkett Cockbain – the son of the well-known butcher Ernest Cockbain of St. John’s Street, Keswick. 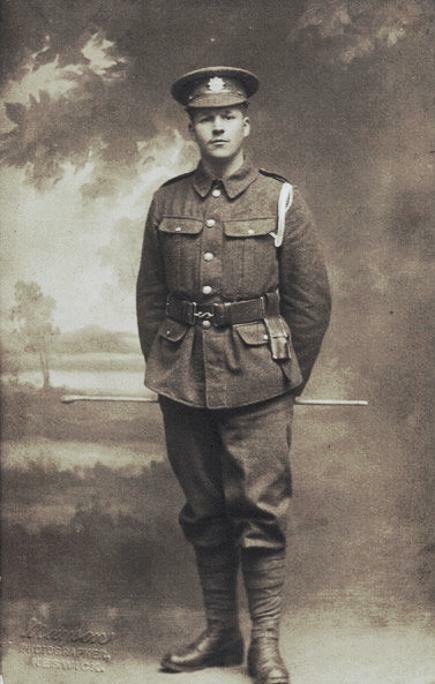 This Bill Cockbain enlisted early in 1914, and was private in the Border Regiment. 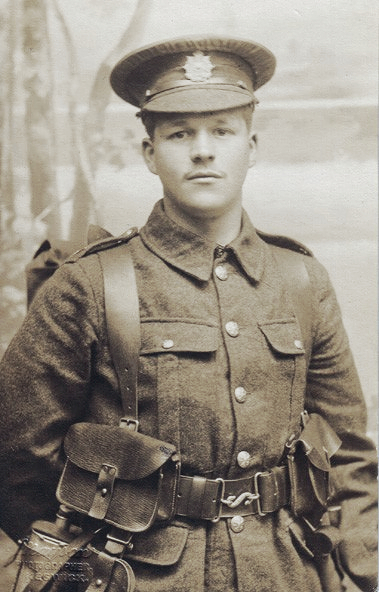 He became a lance corporal, then transferred out to begin Officer Training at Pirbright. 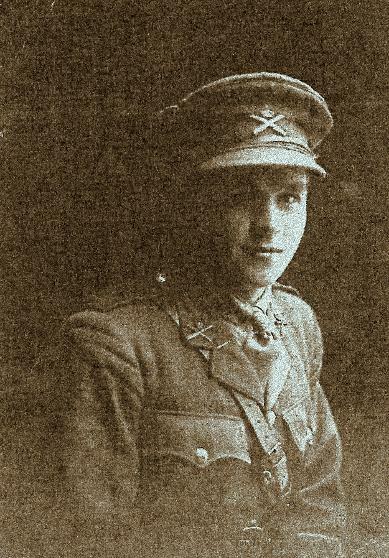 He became Temporary Lieutentant W. B. Cockbain of the 33rd Battalion, the Machine Gun Corps. He won an M.C for his leadership in a night battle in Englefontaine, Northern France in 1918. His medal and a record of the 33rd Battalion are in Keswick Museum. He was an electrical engineer. His mother, Clara, the wife of Ernest, was a VAD at Lingholm Hospital for Officers too. He was finally demobbed in 1921 as a full Lieutenant – though some folk call him a Captain.